TransforMap works towards an online platform to visualize the myriad of alternatives to the dominant economic thinking on a single mapping system. It will give everyone the opportunity to map the initiatives, communities, projects, worker-owned, self-managed, democratically organised companies and other institutions dedicated to meeting people's needs, serving the common good and/ or contributing to a sustainable way of life. 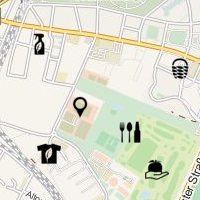 Maps generated out of the TransforMap dataset include visualisations of needs-based initiatives, green projects, and more. 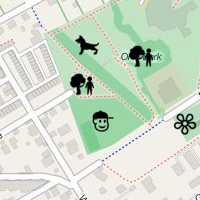 Map data ©OpenStreetMap contributors - ©ODbL, Tiles ©MapBox, Icons ©greenmap.org/TransforMap. Today there is no single resource to easily identify and directly benefit from transformative social innovations, either in your neighborhood or globally. While a new economy based on horizontal collaboration for the common good is emerging with the mushrooming of practices like sharing, repairing, bartering, co-producing, co-using, commoning, and Transition initiatives, it is extremely hard to get an overview of this global transformation. TransforMap is a collaborative answer to this challenge and its complexities. It aims to co-develop with users - common citizens as well as representatives of the different movements - the necessary tools and standards for free and open crowd mapping and aggregating all such initiatives in one mapping tool that can be navigated by neophytes. 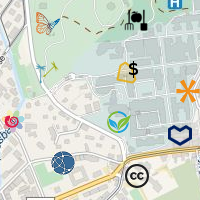 TransforMap is being developed by, and offers the opportunity to display, all initiatives that belong to communities of practice approved by the wider TransforMap community. A longer introduction to organization's history and collaboration can be read on the TransforMap Discourse forum. You have a database of initiatives: open your data and get in touch. Let's discuss what kind of license will enable both maximum collaboration and the preservation of your interests. You have programming skills or are an organization with such skills at hand: pool your technical resources with the TransforMap community. Visit our Trello board to know what needs to be done on the software side. 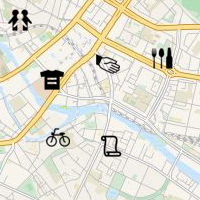 You are well connected to the local alternatives of your region: why not try running a local test mapping using TransforMap’s Taxonomy? Check out the tools available here! Support with any other means, including in-kind donation, and get in touch via our global mailing list global@lists.14mmm.org. For more ways to get involved, check out the wiki on Discourse.